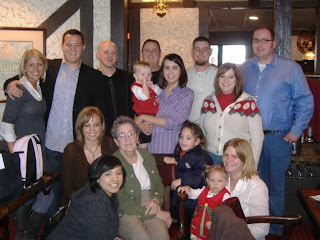 My dear Nana passed away on July 12, 2010. She was 82 years old. She was born on April 8, 1928. She will be missed and is loved by her family. I respect the work ethic she had. She was a very good teacher and had an outstanding reputation as an educator. Her co-workers had so much respect for her. I enjoyed the way she played with us as kids and she was not afraid to act silly like some adults. I remember she would sing a silly song with our names in it when we were kids. I remember the way she would smile when she saw her great grandkids, even though she was struggling with depression at the time. I hate it that she struggled with depression so much in her later years. I know that she is glad to be with Grandaddy now and in a better place. Here is a poem she wrote after Grandaddy died in 2004.
just sits there and stares. Waiting where Jack should be. Jamie spent the night with me. When Grandaddy was very sick. She cleaned my master bathroom. And new faucets that won't drip. that takes away the grit. And to a funny, funny show. some of my tears and lows. with pretty shades of pink. He's fixing all the gadgets and the lights. Flowers in the yard, is a beautiful sight. He and Jay put up new garage doors. with a birdhouse on the wall. I haven't as much pain anymore.